THERE you are! Where did the last ten days go? Well, lemme tell you, March madness has struck hard around here. If you know my family, you know that we love basketball. Not as much as we love football, but hey, it’s a good distraction while we wait for the calendar to roll back around to spring training and recruiting news. Mr. Official is watching NCAA games today, and my next pedicure will be BLAZING orange to show my love for Cuonzo and the boys, no matter how they do in the NIT. This March Madness is not just THAT March Madness. the urge to clean and change the decor occurred at precisely the same time my Dyson’s beater bar decided to quit. The fallout from the madness has taken a huge toll on my organizational skills and blogging schedule. Even last week’s menu was a no-show. But in the balance, our fence row has been cleared and the scruff and brush all burned off. I’ve successfully navigated the annual DST gauntlet and my caffeine intake is back to normal. We ARE eating, even if my menu is still stuck in time. 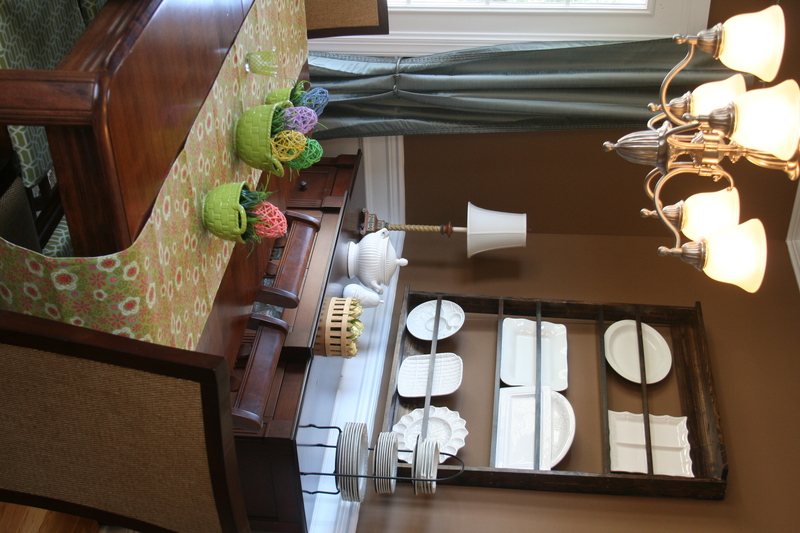 The mantel, entry way and dining room are decked out for Easter. And my tomatoes and peppers are sprouting and growing, (and until I fix the beater bar, we’re going to have to ignore that dirt crumbs beneath the plant stand and the pesky pet hair on the rugs.) It won’t be long before brushing against the plants releases that scent that is intoxicating and unmistakably summer. And that’s when the madness really sets in. To make matters even more mad, there’s a third moon this month. New journal has many names and sermon notes. Even so, getting into a daily routine is an area for improvement. 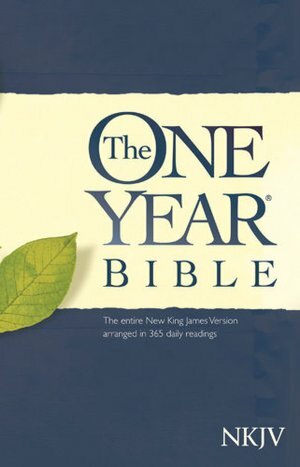 If you’re an attention-challenged Bible reader like me, try the One Year Bible (you can even get it online for free.) Each day you get a little Old, a little New, a few Psalms and Proverbs. I spent most of January dazed and confused in Chronicles, but the familiarity of Acts and Romans kept me going. Week one, I managed five workouts: elliptical, weights and yoga. Weeks two and three were a bust: a pinched nerve in my back kept me incapacitated. Week four success! 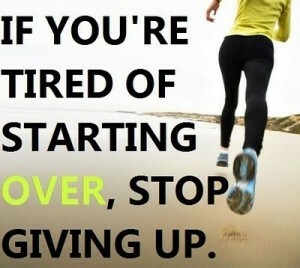 Elliptical, Pilates, yoga and a 5K walk/run. My initial weight was (gulp) almost 125 pounds. I should weigh 105-118 pounds and I’m determined to get back to somewhere around 110 and maintain it. Currently I’m hovering at 120-121. How do you measure the love, peace, joy, patience, kindness, goodness, faithfulness, gentleness and self-control in your life? Something tells me this fruit is a really slow grower. What would you like to change this year? The perfect time to start is (always!) now – share your resolutions so we can encourage each other! The following is a true story. I haven’t changed any names or details to protect the innocent. It happened earlier this week when I decided I would knock out two trouble spots before fall break. The first hot mess was this plasticware storage cabinet in the kitchen. It started out fairly neat when we moved in, but every time we pulled something out or put something away, it got a little messier. Fetching a plastic tub for leftovers was a form of torture. The second wreck was this under-sink cabinet area on my side of the bathroom. 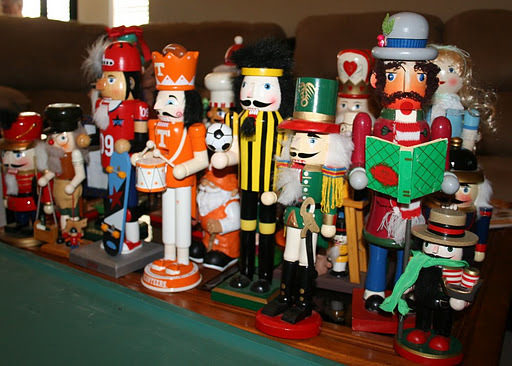 Like the other one, it started out neater when we moved in but daily use took its toll. This is the mess I faced each morning and night. So I asked myself, just how hard could it be to bring some organization to bear? I mean, reality TV shows can make over entire rooms in half an hour. Surely this wouldn’t take more than a few minutes, maybe an hour of my time, right? Ahem. Deep, cleansing breath. In case you didn’t pick up on it, a lack of drawers is a pet peeve of mine. Well, really it’s the disorganized chaos that stems from lack of drawer space that is the thorn in my side. But anyhoo. This cheesy little wire thing just wasn’t cutting it – my jewelry was a slippery tangled hodgepodge, the hair dryer cord was always flopping over the edge and preventing the cabinet drawer from shutting. And it looked a mess, no matter how neatly I arranged the bottles and containers of stuff. Painfully messy. For several months, I searched the stores and the internet for some decent shelving or drawer unit to insert in there, to no avail. I finally resigned myself to plastic stacking drawers and tubs. Gritting my teeth the whole time because I really, really dislike the plastic stuff: it’s flimsy, wobbly and otherwise prone to rapid failure. 2. Move everything back in, using the plastic drawers and a bin or two. 3. 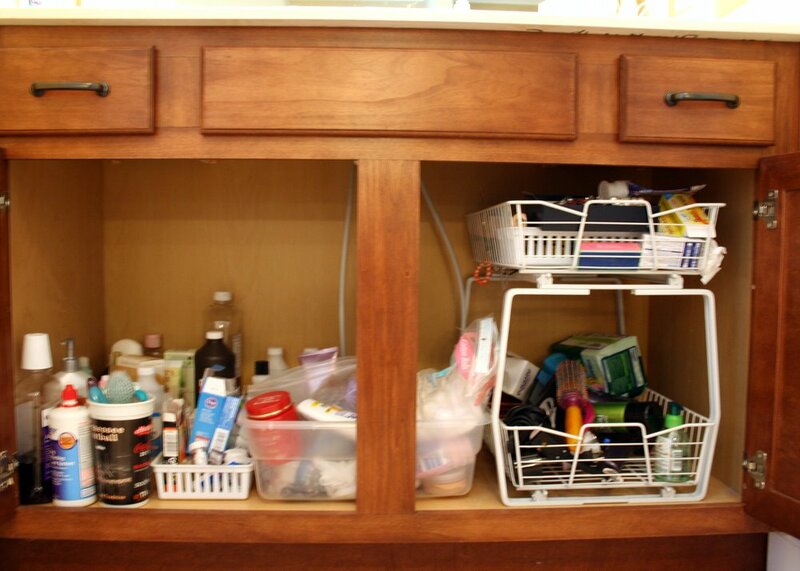 Install the wire pull-out drawers and organize the plastic-ware. 1. Make the bed and dump the clothes out of the laundry basket. 2. 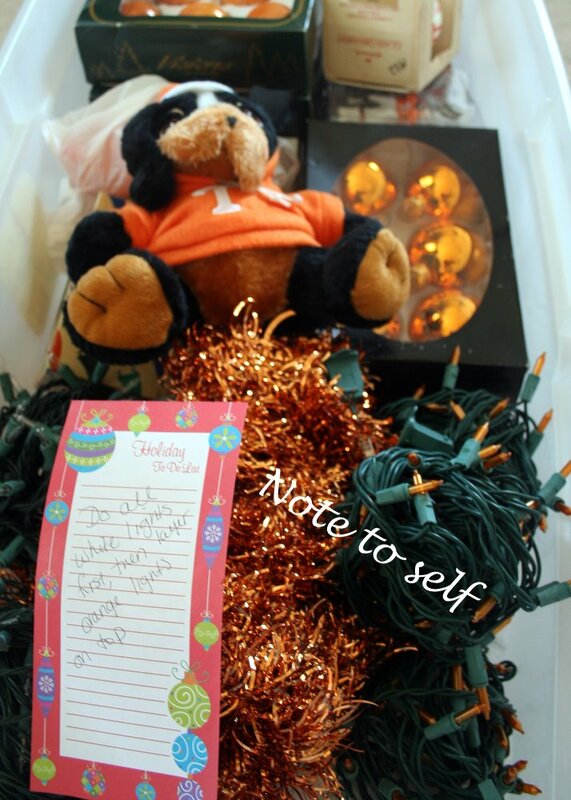 Fill the basket with bathroom stuff and remove the wire pull-out unit. 3. Install the plastic containers. 4. Cringe and groan because I still hated how it looks – see what I mean? This was the “after” picture. Ugh. 5. 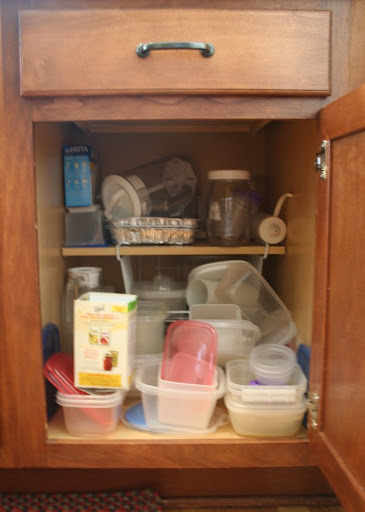 Move on to the kitchen and install the wire drawers and organize the plastic ware. 6. Move the unfolded clothes back to the basket for the night. 1. Make the bed, dump the clothes back on the bed. 2. March into the bathroom in the cold light of day and take measurements. 3. Visit Target and find a shelf unit that could be cut down and re-tooled to work, plus baskets to optimize the storage space. 6. 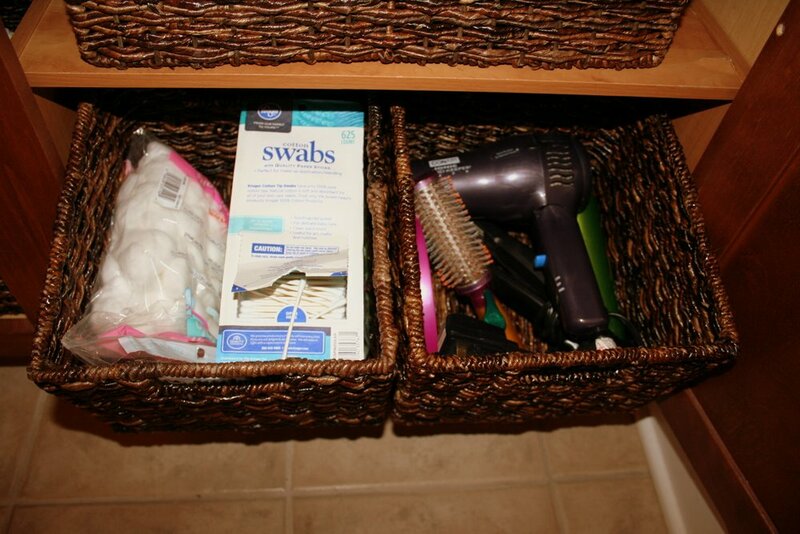 Move everything from the plastic drawers to the new baskets. 7. Move the unfolded clothes back to the basket. 2. 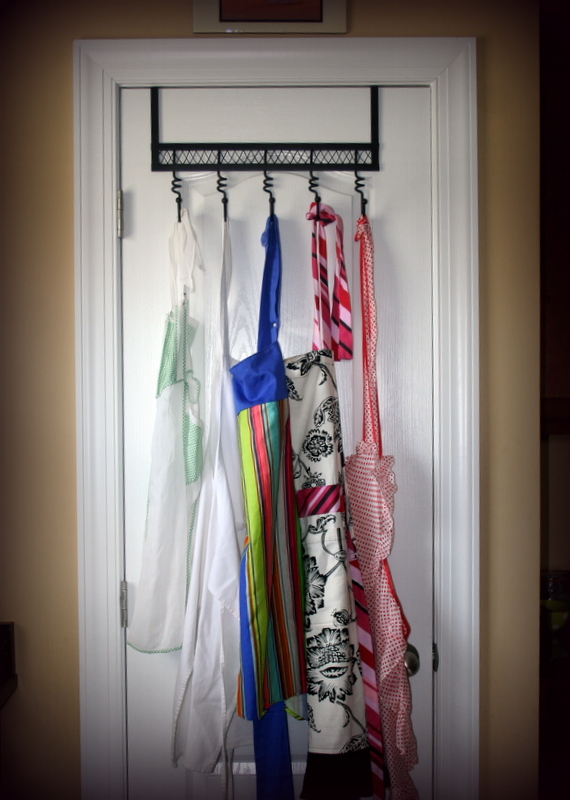 Fold the now seriously wrinkled clothes and put them away. 3. Return the plastic drawers to the store for a refund. 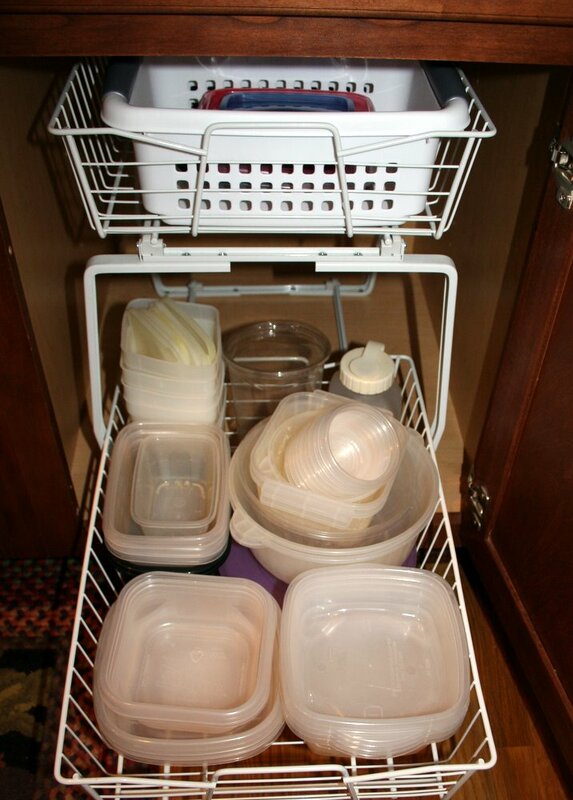 The plastic ware is now neatly organized and accessible. 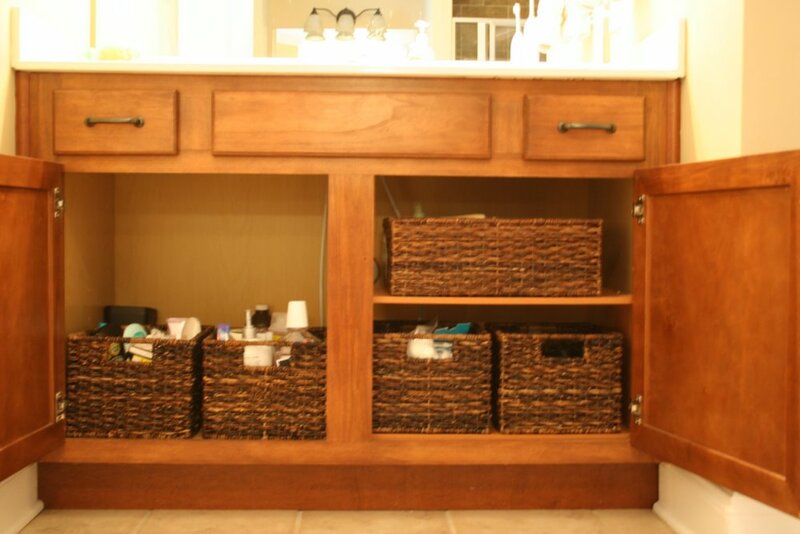 The bathroom cabinet is organized and functional – I make a happy sigh every time I open the cabinet doors now. 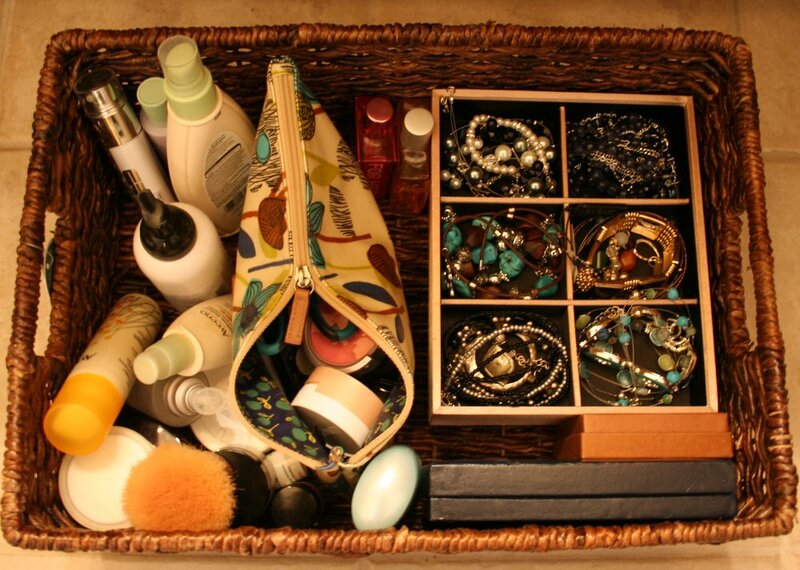 My makeup and jewelry are in the shallow larger basket on top, easily accessible. And my everyday jewelry is no longer in imminent danger of dangling or tangling. The hair dryer has its own bin that is deep enough for the cord to stay neatly inside; cotton balls and swabs and other items have their own little cubby, too. 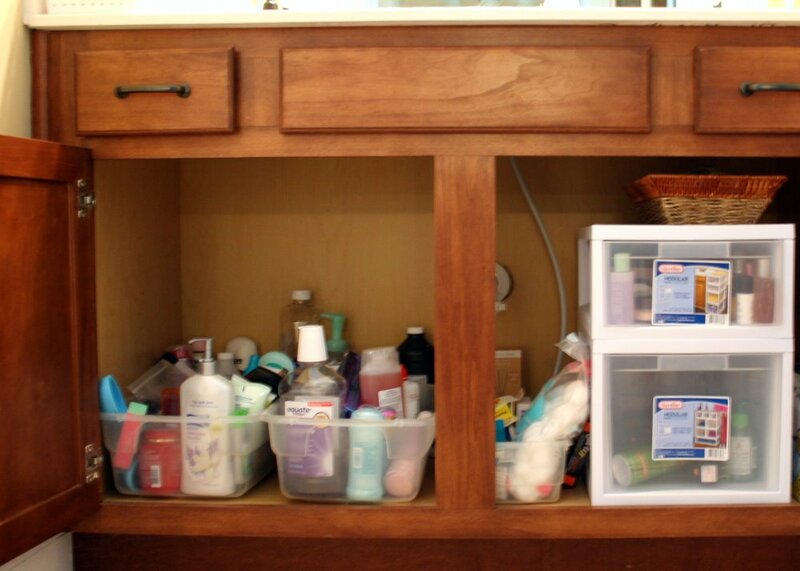 The other two cubbies hold everything else – lotion, contact lens solution, sunblock, razors, jewelry cleaner, and on and on – it’s a lot of stuff stowed out of sight but within reach. The clothes are folded and put away. An investment of about four hours over three days, including two trips to town, one $10 shelf and five $15 baskets equals peace of mind. Which is priceless. P.S. Please tell me…do your home improvement efforts go the same way mine do? Even if they don’t, just tell me they do.